It takes a significant amount of time and effort for a company to establish and maintain an identity. One of the benefits of using digital signage is the flexibility and diversity of the platform which helps to increase brand awareness. When you have decided to deploy digital signage it’s important you consider how the display looks, as this is essentially the ‘face’ of your company. Does your logo match the colour scheme? Does the content look organised? Does the font look professional? Most companies choose to deploy digital signage to attract a target audience and increase ROI (return on investment). Using signage to its full potential will familiarise your target audience with your brand and also help to make your company become more recognisable. Keep the content simple – The flexibility of digital signage software is fantastic and there is so much room for creativity. (Try our digitalsignage.NET software for free and see what you think). However, making a screen look too busy can be extremely confusing and unattractive. 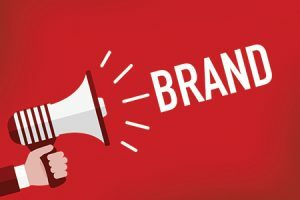 This may damage your brand reputation and give potential customers a reason to choose your competitors instead. You might choose to use some static ads for a current promotion alongside a live RSS feed and a weather widget, but including a large number of widgets and feeds may actually detract your customers attention rather than attract it. Remember, less is more. Make sure your logo is clearly visible – Is your logo high resolution? Can people see it from a distance? Using your logo makes your target audience recognise your brand straight away. Displaying important content such as product news and promotions is an effective way to capture your audience, but making a person focus on a visually appealing logo or a simple product message will be memorable when the customer is ready to purchase. Personalise your content – If potential customers/existing customers are subjected to personalised messaging, such as messages that may be associated with their attitudes and daily routine, that person is more likely to identify your brand as it will make a lasting impression. Know who your consumers are and work around them. Ask them to tweet about what they think of your new clothing range or how they feel about the new menu and respond. All these things create a memorable experience and give you an edge over your competitors. Leave a lasting impression – Although a person may only acknowledge your screen for a few seconds (again – another reason to keep your messages clear and concise), it’s important to give them something to think about when they are no longer looking at the screen. Ask a compelling question or include important information within the the context of your brand niche. Consumers will remember this over using traditional advertising methods. If you’re looking into deploying digital signage to boost your brand, contact our team today for a friendly chat and see what solution we can create to meet your requirements. 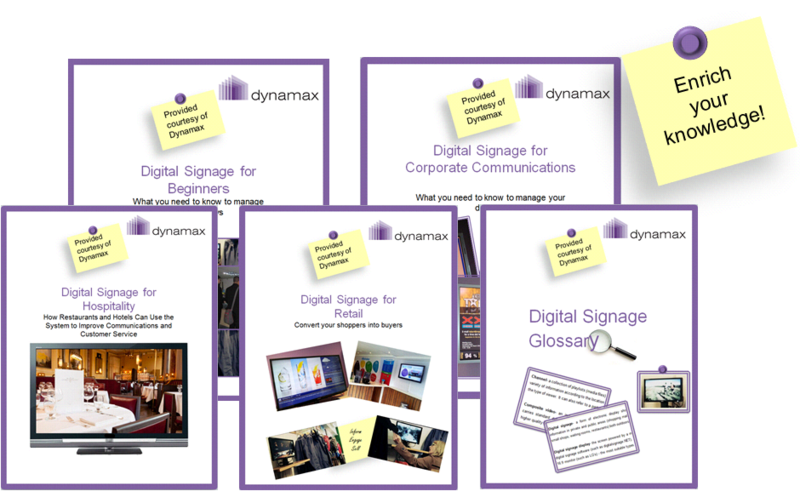 For more information on digital signage, digital signage in different sectors or beginners guides you can download our different whitepapers for free by clicking on the image below.